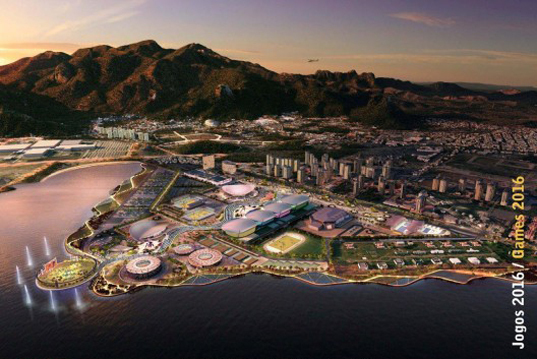 It is said that the 2016 Olympic games in Rio de Janeiro will be the most temporary games in history! As announced in August, London-based AECOM was given another go at designing a masterplan for the international event (the firm was also responsible for London’s 2012 Olympic park master plan). The design emphasises the temporary nature of sporting venues as a way to avoid the negative legacy of former host cities, icluding Athens and Bejing. Judging from the preliminary design of the Rio Olympic park, the games are definitely taking a turn toward sustainability. Apart from AECOM, the winning design team includes Daniel Gusmão Architecture of Rio, Wilkinson Eyre Architects, Pujol Barcelona Architects, IMG Sports and Expedition. The installations at Rio’s Olympic park are expected to cover an area of 1.18 million square meters in the district of Barra de Tijuca, which will cater for 15 Olympic and 11 Paralympic disciplines. The project includes the construction of six temporary venues and nine permanent ones. In addition to that, the organizers plan to ship London’s Olympic basketball arena to Brazil. 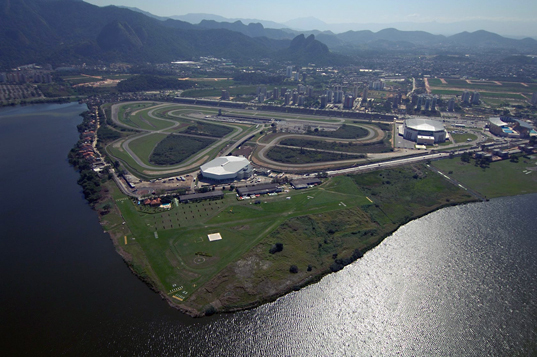 Another major goal of the project is to ensure environmental preservation and maintain the lagoon of Jacarepaqua, which frames the future olympic park from the south. The construction work on the Olympic park for the Rio 2016 Games began in July 2012. Following the competition for the general urban plan (now under development), specific architectural competitions for the equipment that will compose the Park will be announced in the next few months.